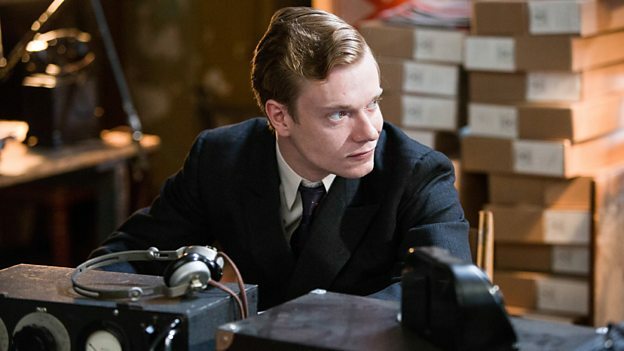 BBC Two has released a first-look preview clip for Stephen Poliakoff (Dancing On The Edge) new six-part period drama, Close To The Enemy. Set in a bomb-damaged London hotel in the aftermath of the Second World War, Close To The Enemy follows intelligence officer Captain Callum Ferguson (Jim Sturgess), whose last task for the Army is to ensure that a captured German scientist, Dieter (August Diehl), starts working for the British RAF on urgently developing the jet engine. The preview clip shows Ringwood (Game Of Thrones Alfie Allen) showing Callum his office, and also the secret office he will actually work from. The cast also features, Freddie Highmore, Charlotte Riley, Phoebe Fox, Robert Glenister, Charity Wakefield, Angela Bassett, Lindsay Duncan, and Alfred Molina. Close To The Enemy begins on BBC Two tomorrow (Thurs 10th Nov) at 9pm.